25+ Please email us for a quote and authorization! The New Jersey 2019 Energy year NJ SRECs will be tagged 06/2018 through 05/2019. SREC energy year is not based on a calendar year but rather the New Jersey Energy Year which starts every June and extends for twelve (12) months. When determining what month(s) SREC(s) you hold, also called vintage and minted date use the “month of generation”, that is the correct date. The other date show for each SREC(s) is the “REC creation” date and that is not the date to use. Our website 2019 energy box indicates the date and time when our current 2018 Energy Year bid took effect. Prices are subject to change without notice UP or DOWN and the posted web price is the price we will pay you for spot market SRECs with NO FEES deducted. All SREC transfers must be done on the www.PJM-EIS.com website. You cannot transfer SRECs on our website or on other websites. You must check our Website and use our current Bids (prices) when making transfers on the GATS platform. NJ SRECs transfers on the GATs platform are time stamped. It is a good idea to refresh our website to make sure you have the correct current price. NJ 2019 Energy Year SRECS are compliant for the 2019 energy year and the four (4) following energy years. Be aware that even though SRECs maybe compliant with future Energy year requirements, that does not necessarily mean they will have the same value as the current energy year at that time. So far, older SRECs have always been worth less in an oversupplied market. SRECs can be valued in the SPOT market between zero (0) and the SCAP, the utility penalty. 25+ Click here to submit a Bulk Quantity Request! The New Jersey 2018 Energy year NJ SRECs will be tagged 06/2017 through 05/2018. SREC energy year is not based on a calendar year but rather the New Jersey Energy Year which starts every June and extends for twelve (12) months. When determining what month(s) SREC(s) you hold, also called vintage and minted date use the “month of generation”, that is the correct date. The other date show for each SREC(s) is the “REC creation” date and that is not the date to use. Our website 2018 energy box indicates the date and time when our current 2017 Energy Year bid took effect. Prices are subject to change without notice UP or DOWN and the posted web price is the price we will pay you for spot market SRECs with NO FEES deducted. All SREC transfers must be done on the www.PJM-EIS.com website. You cannot transfer SRECs on our website or on other websites. NJ 2018 Energy Year SRECS are compliant for the 2018 energy year and the four (4) following energy years. Be aware that even though SRECs maybe compliant with future Energy year requirements, that does not necessarily mean they will have the same value as the current energy year at that time. So far, older SRECs have always been worth less in an oversupplied market. SRECs can be valued in the SPOT market between zero (0) and the SCAP, the utility penalty.. The New Jersey 2017 Energy year NJ SRECs will be tagged 06/2016 through 05/2017. SREC energy year is not based on a calendar year but rather the New Jersey Energy Year which starts every June and extends for twelve (12) months. When determining what month(s) SREC(s) you hold, also called vintage and minted date use the “month of generation”, that is the correct date. The other date show for each SREC(s) is the “REC creation” date and that is not the date to use. Our website 2017 energy box indicates the date and time when our current 2017 Energy Year bid took effect. Prices are subject to change without notice UP or DOWN and the posted web price is the price we will pay you for spot market SRECs with NO FEES deducted. All SREC transfers must be done on the www.PJM-EIS.com website. You cannot transfer SRECs on our website or on other websites. NJ 2017 Energy Year SRECS are compliant for the 2017 energy year and the four (4) following energy years. The New Jersey 2016 Energy year NJ SRECs will be tagged 06/2015 through 05/2016. SREC energy year is not based on a calendar year but rather the New Jersey Energy Year which starts every June and extends for twelve (12) months. When determining what month(s) SREC(s) you hold, also called vintage and minted date use the “month of generation”, that is the correct date. The other date show for each SREC(s) is the “REC creation” date and that is not the date to use. Our website 2016 energy box indicates the date and time when our current 2016 Energy Year bid took effect. Prices are subject to change without notice UP or DOWN and the posted web price is the price we will pay you for spot market SRECs with NO FEES deducted. All SREC transfers must be done on the www.PJM-EIS.com website. You cannot transfer SRECs on our website or on other websites. NJ 2016 Energy Year SRECS are compliant for the 2016 energy year and the four (4) following energy years. 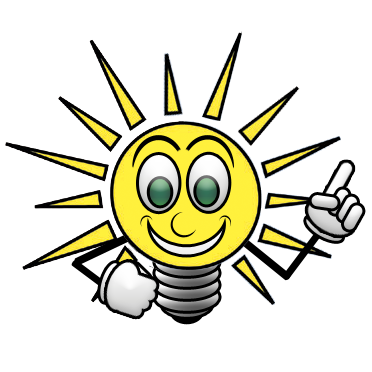 The New Jersey 2015 Energy year NJ SRECs will be tagged 06/2014 through 05/2015. SREC energy year is not based on a calendar year but rather the New Jersey Energy Year which starts every June and extends for twelve (12) months. When determining what month(s) SREC(s) you hold, also called vintage and minted date use the “month of generation”, that is the correct date. The other date show for each SREC(s) is the “REC creation” date and that is not the date to use. Our website 2015 energy box indicates the date and time when our current 2015 Energy Year bid took effect. Prices are subject to change without notice UP or DOWN and the posted web price is the price we will pay you for spot market SRECs with NO FEES deducted. All SREC transfers must be done on the www.PJM-EIS.com website. You cannot transfer SRECs on our website or on other websites. NJ 2015 Energy Year SRECS are compliant for the 2015 energy year and the four (4) following energy years. The New Jersey 2014 Energy year NJ SRECs will be tagged 06/2013 through 05/2014. SREC energy year is not based on a calendar year but rather the New Jersey Energy Year which starts every June and extends for twelve (12) months. When determining what month(s) SREC(s) you hold, also called vintage and minted date use the “month of generation”, that is the correct date. The “REC creation” is not the date to use. Our website 2014 energy box indicates the date and time when our current 2014 Energy Year bid took effect. Prices are subject to change without notice UP or DOWN and the posted web price is the price we will pay you for spot market SRECs with NO FEES deducted. All SREC transfers must be done on the www.PJM-EIS.com website. You cannot transfer SRECs on our website or on other websites. NJ 2014 Energy Year SRECS are compliant for the 2014 energy year and the four (4) following energy years. Most Auction and Exchange sites deduct fees from the price they post. GATs Bulletin Board Prices posted by others may be large volume prices only. We pay our posted price on this NJSREC.com website. We only charge fees for special services. Auction and Exchange sites charge additional fees for special services and may have a double fee structure. Regardless of how you sell your NJ SRECs, all NJ SRECs have to be traded on the GATs platform. Extra steps are simply more work for you. NO FEEs and NO Commissions are charged by NJSREC.com on Spot Market transactions. NO REGISTRATION or LOGIN is currently REQUIRED on NJSREC.com to buy or sell your NJ SRECs. Payments are made promptly on Spot Market Trades. You must submit a request for a bid when selling 25 or more SRECs from an individual, an entity or related entities in one day. Bid prices are subject to change at any time without advanced notice. The SREC market can be volatile and can decline or rise significantly in response to industry, market, economic, regulatory, or political developments. Past bid prices are not indicators of future prices. Bid prices are in effect until replaced or withdrawn. You must click the “refresh” button on your browser (top row of your web browser to the right of the URL aka web address box) to ensure that your computer is showing the current bid price. Most Auction competitors charge significant fees to buyers and sellers which serve to reduce the price that you the seller receive for your NJ SREC(s). Auction and Exchange sites deduct fees from the price they post. We pay our posted price on this NJSREC.com website. We only charge fees for special services. Auction and Exchange sites charge additional fees for special services. They have a double fee structure.